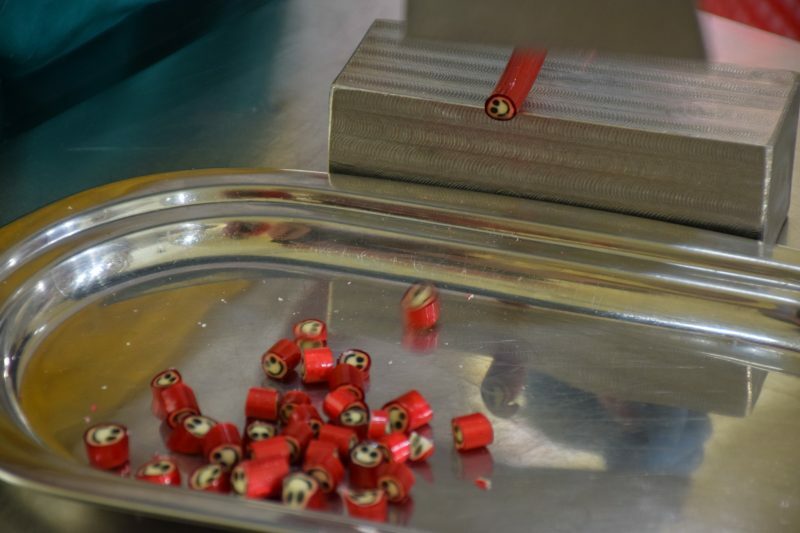 Bon Manufaktur is the only shop in Slovakia were visitors can experience sweets-making for themselves. The shop will impress you with colors, smells and, above all, sweet delicacies from all around the world. We wanted to experience the unique atmosphere for ourselves, so we set off to the shop, full of expectations. We were simply amazed! 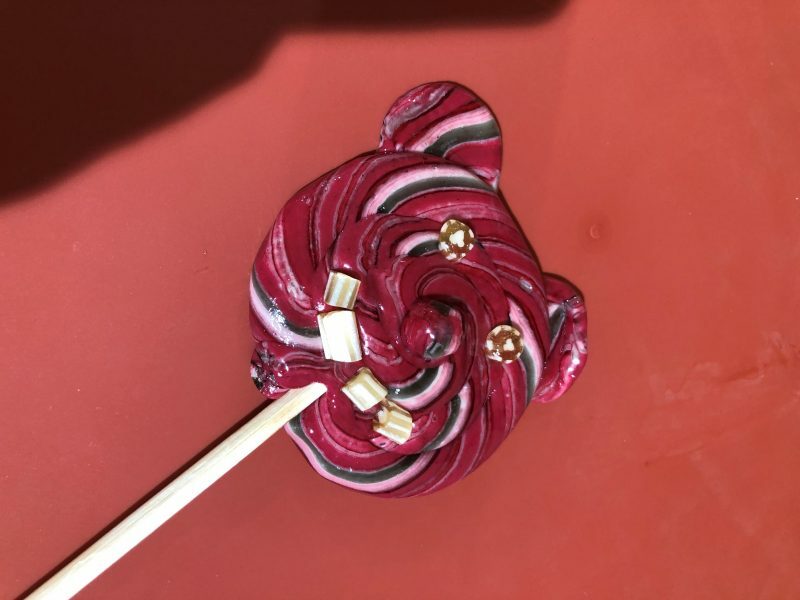 In addition to the amazing aesthetic experience, we even got to make our own lollipops! Immediately after entering the store, we were fascinated by color combinations, various shapes and beautiful packagings. The candies and lollipops are made right at Bon Manufaktur. 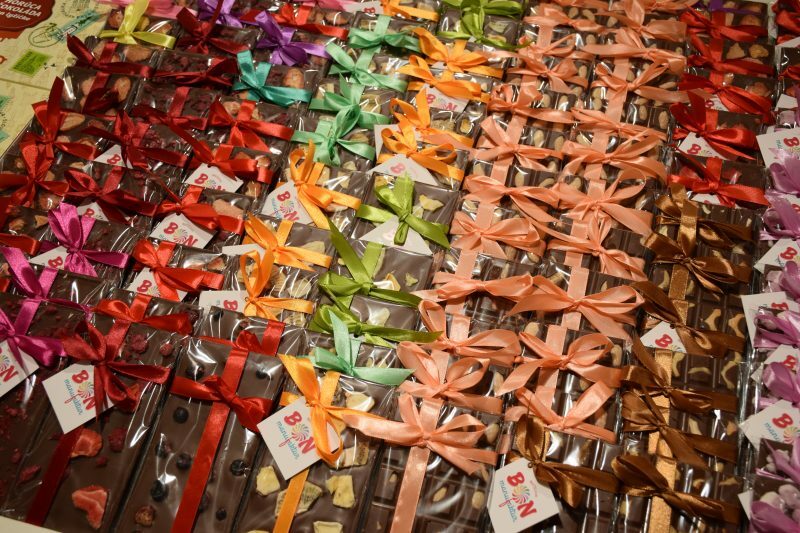 Their products are also a great gift or souvenir for anyone having a sweet tooth now and then. Delicacies are decorated with different decorations, ranging from smileys to toy cars or symbols of Bratislava. It is not a piece of cake! 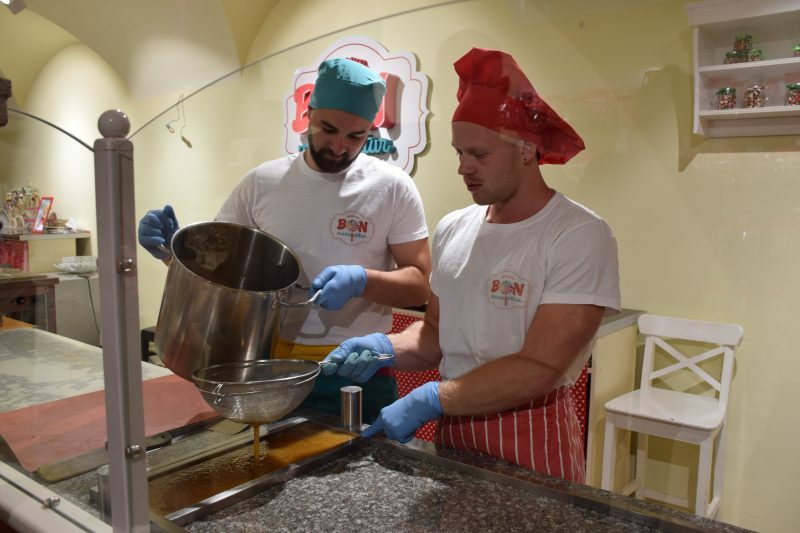 The production of caramels is not an easy thing to do, we have tried it for ourselves during a spectacular show prepared for us by two skillful caramel artists. When processing the hot caramel mass, their hands have to be protected by no less than three pairs of gloves! 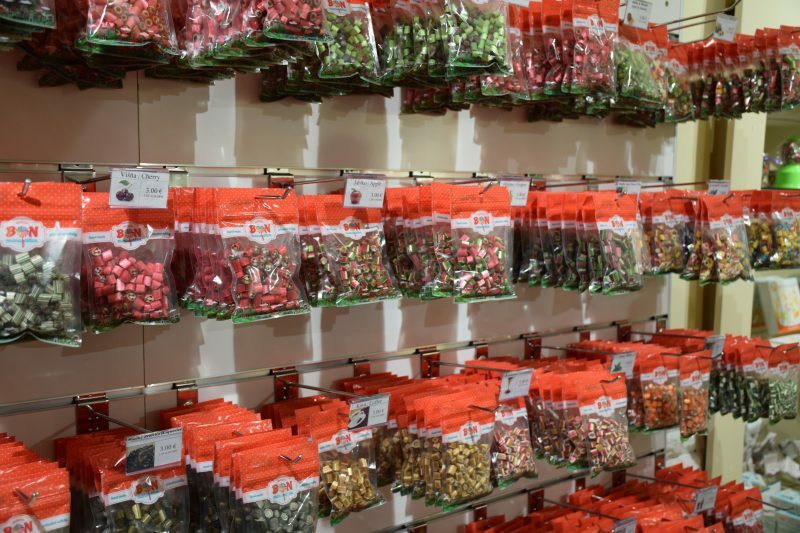 Every little candy you find in the store is the result of their patience. At the workshop for beginners (suitable for children and adults alike; the workshop is also led in English and Russian) we have made teddy bear lollipops. Even though we were given instructions, there was enough room for our creativity and fantasy. Lollipop-making is truly a unique experience. After going through the beginner’s workshop, you can take part in the advanced workshop and try to do more complicated shapes. You can also make your own designs. After the workshop you will be awarded with a diploma and you can enjoy your lollipop or give it to someone you cherish. Yummy!